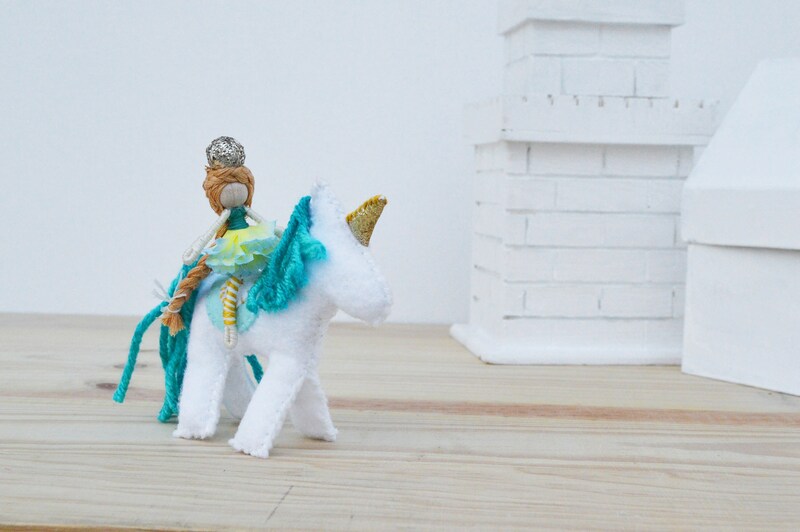 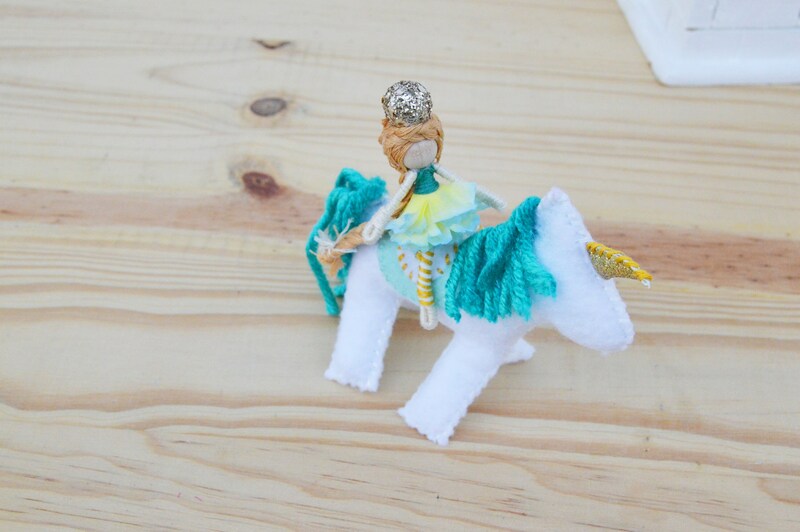 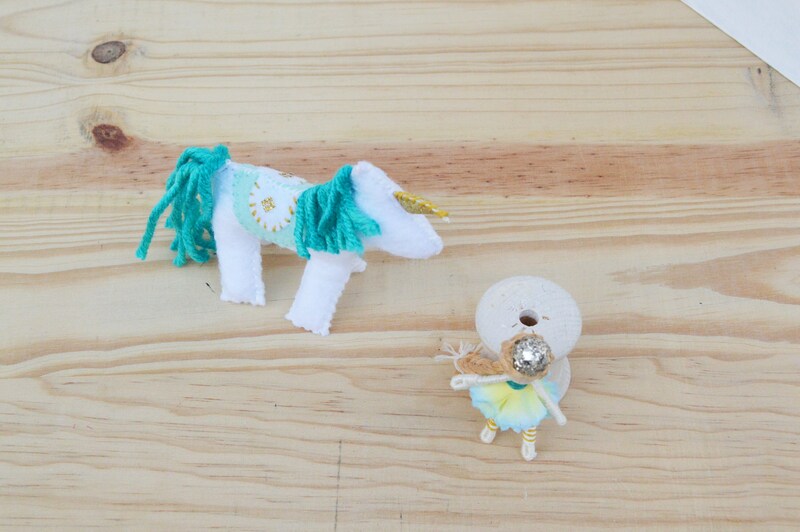 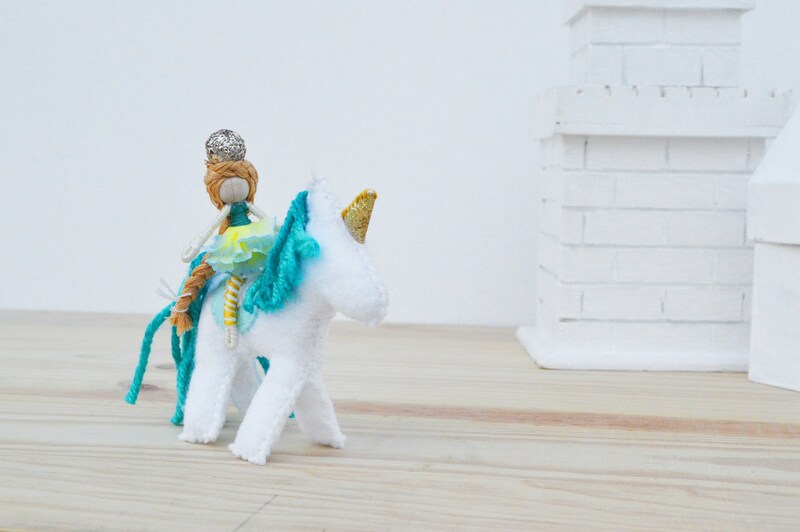 Meet Electra the felt unicorn pegasus and Glitter the miniature fairy doll, waldorf toys ready for a fairytale adventure! 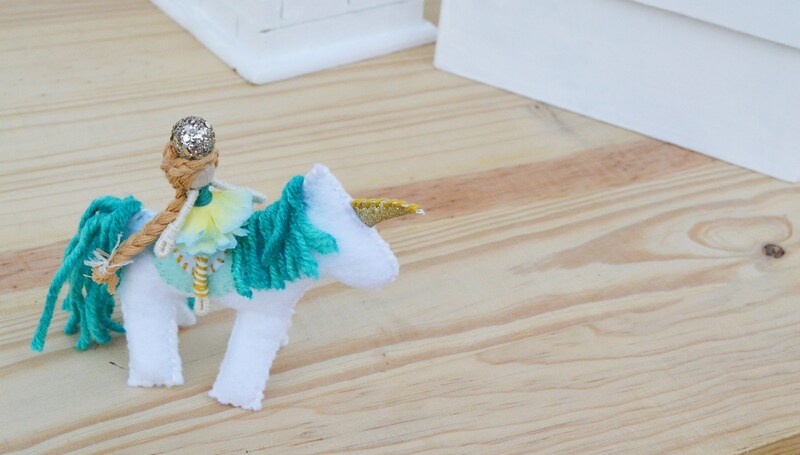 Glitter stands just 2 inches high. 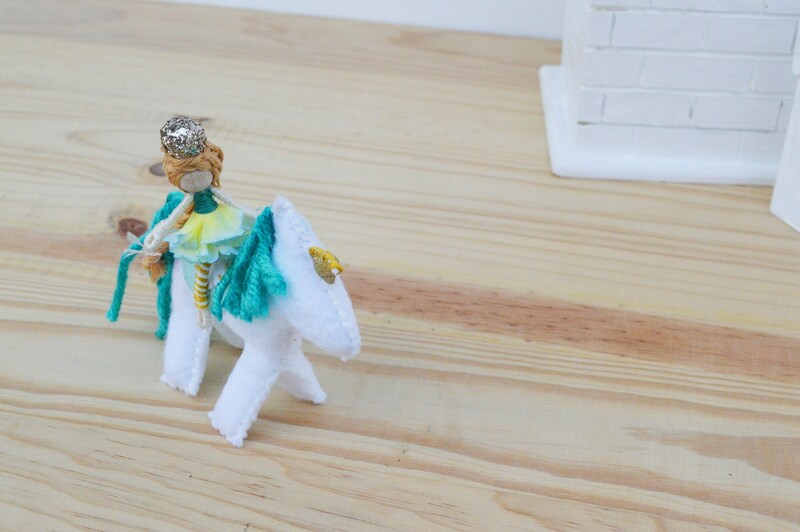 She wears a pale blue faux flower skirt with a teal bodice. 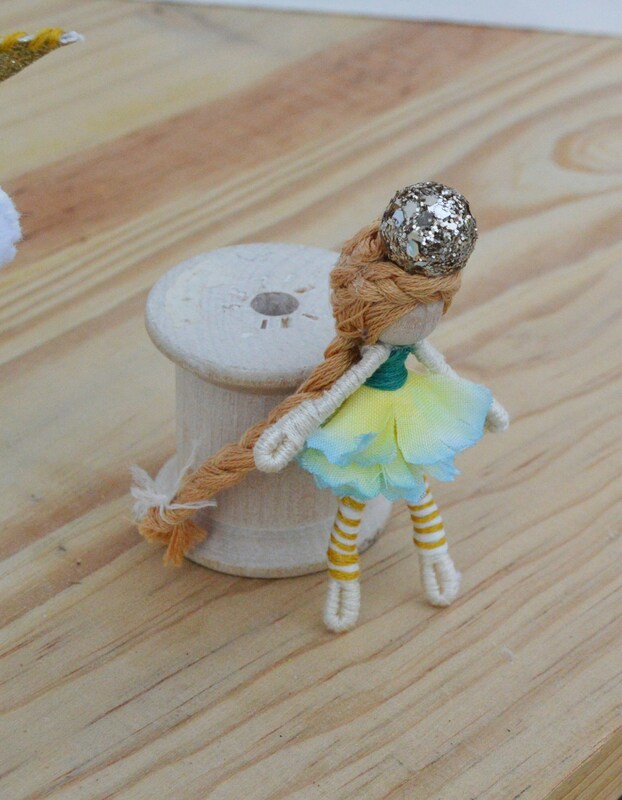 Her blonde cotton floss hair is styled in a braid with a gold orb. 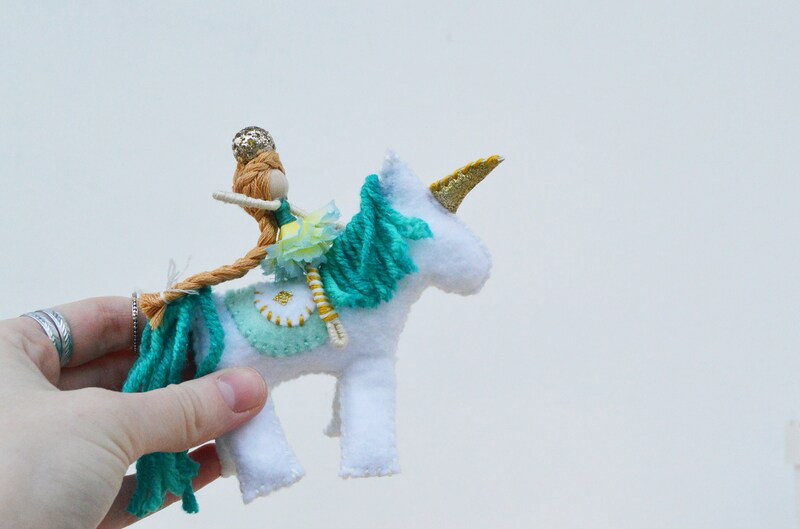 Electra stand 3 and a half inches high, and is about 4 inches long, with a wingspan of six inches. 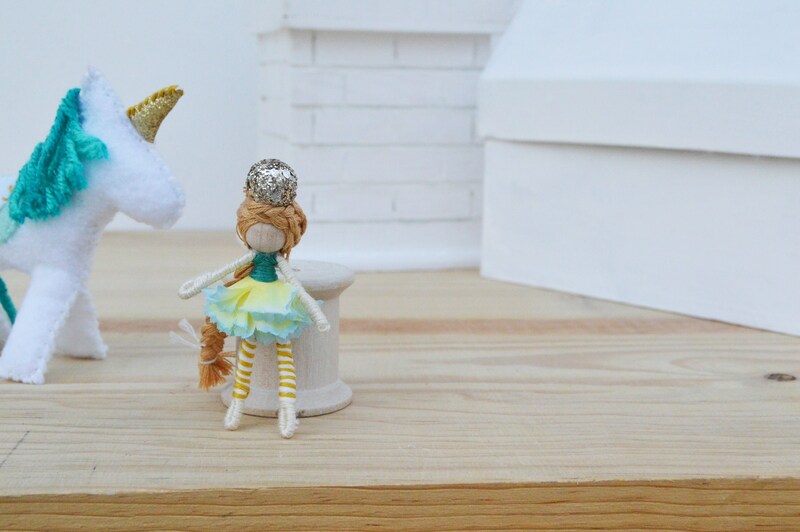 She is made from polyester felt and cotton floss in white and teal and gold. 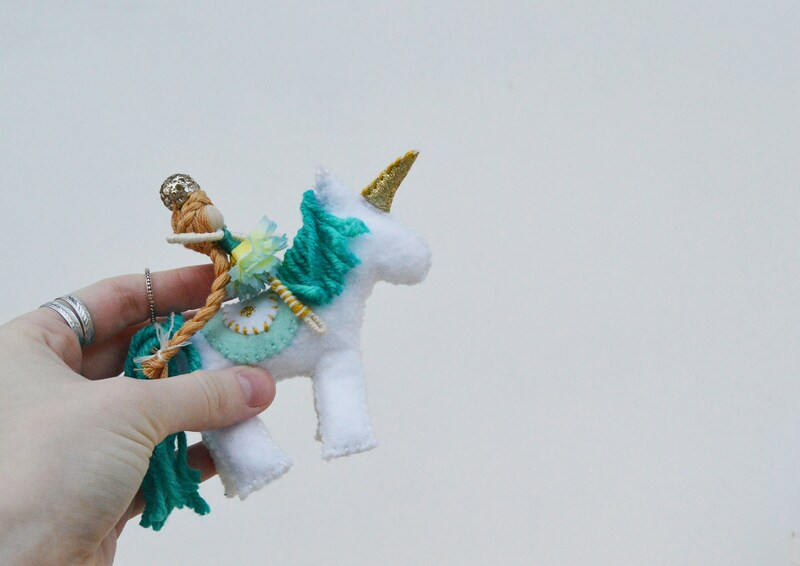 Her main and tail are teal polyester yarn.